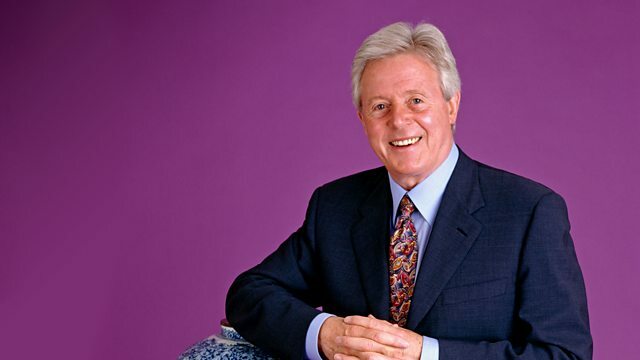 Michael Aspel and the team take a trip to Banqueting House, in the heart of London. A valuable brooch proves that diamonds really are a girl's best friend. Browse content similar to Banqueting House. Check below for episodes and series from the same categories and more! on a unique square mile of our capital city. and their ministers have trodden the corridors of power. This part of London is the birthplace of the pinstriped bureaucracy we know and love. A place of spin and political mischief. and television's most fascinating villain, yearned to call home. Millions of us watched as he trampled his way to the top. People come from all over the world to see for themselves the icons and the institutions of SW1. but they never smile or offer autographs. It's seen countless royal and society occasion. It also witnessed, on a dark January day in 1649, one dreadful event. King Charles I walked through the Banqueting House for the last time. to a great groan from the crowd below. and returned to the Banqueting House to general rejoicing. This, then, is the background to today's Antiques Roadshow. those are actually the Hanoverian royal arms. This wonderful inscription: "God Preserve King George 1725." But what's it doing with the Yeoman Warders? to commemorate the swearing in of a Yeoman Warder. Right. So what exactly is a Yeoman Warder? Well, we all come from a military background. known as "The Yeomen of the Guard in extraordinaire". currently in the Army, the Air Force, or the Royal Marines. So you have to keep your nose clean then! Basically, 18 years of undetected crime is the way that we look at it. and be between 40 and 55 years of age on appointment. which takes place after a Yeoman Warder has been at the Tower for about six or eight weeks. -where we drink a toast. -And what do you drink? that's been going on for literally hundreds of years. We really wanted to just make sure that it is the genuine item. -It is a jolly rare punch bowl. Punch bowls of this date in silver, you don't see that many of them. but this one is historically so fascinating. -You're never going to sell it. -No, not at all, it'll stay with us. What are you going to put on it? but I would think you'd have to insure it for at least £5,000. and there's so much history attached to it. made in the 19th century, probably about 1860, something like that. which are mass produced and printed. that blue colour is marvellous and the gilding is great. in Russia, and he was of course dispossessed after the Revolution. so this is what she has from her father. and it's just remained in the family ever since. And when my mother passed away, it came to me. Of course they're difficult to display, how do you display it? so she would pole the egg on it, and she had a little finial on top. So it now sits in my cupboard on the famous meat thermometer. But they shouldn't be on that. -It might be causing a little bit of damage on that. so if you can do that, it will be kinder to the egg. Well, we must be kind to the egg. Now, it's of fair value. they'd love this over in Russia. I think you're looking at something like between £3,000 and £4,000. Oh, lovely, very nice, a good egg. -until you realise it's actually a dental cabinet. Why do you want to own a dental cabinet? Well, we didn't. I didn't know it was a dental cabinet. and went in and bought it. And what did you love about it? and it has lots of drawers. I agree with you, I mean I still hate the dentist. holding all the dentist's instruments. It does lots of things, doesn't it? and you open up the roll top here. and you would have had all your probes and drill heads. -There's some still left in here, aren't there? and "zzzzz", they would have been drilling your teeth. Oh, he's actually left some teeth behind as well! So what do you keep in it now? There's two market values to this. for a collection of dental instruments. -because it all locks away, doesn't it? -If you just lock that one lock there, all these lock. -and I think it's worth more as that than as a dental piece. -How much did you pay for it? Can you remember? -80 quid, how long ago? '75 or '6, something like that. So 20, 25 odd years ago, right. Today, probably you'd get between £1,500 and £2,000. -and I'm sure it gives you much pleasure. It does, I'm so glad you like it too, thank you. -A glass and pewter jug. -except that it is late 19th century. I got it from my father buying it in Portobello Road before the war. -That's when we... Before the Second World War. How much did it cost him, have you any idea? -probably a shilling, half a crown maybe. -So... Well, that's good because I don't want your expectations to be overambitious. -which is absolutely typical of the Art Nouveau. I'm going to go for maybe ten years later. that great shop in Regent Street. And if we turn it upside down, we've got a mark and it says "Tudric"
and then it steps back up again at the bottom. If you look at it side on, it swells, tapers and swells out again. -Every element of this has been thought out. and vice versa, the whole is an organic piece of design. you see it sort of doesn't quite flush. Oh, yes, it doesn't quite... no, I've noticed that. Yes, that it doesn't quite fit. -Well, I think I know who designed this. Almost certainly a man from the Isle of Man called Archibald Knox. -He was one of Liberty's principal designers. In fact, when Liberty died Archibald Knox actually designed his headstone. So in 50-odd years it's crept up a little bit. -to somewhere in the region of £1,500 to £2,500. I was thinking of perhaps 200, but really, as much as that? when you brought me this enigmatic piece of painted wood. Let's start with where did you get it from? came in one day and said "Yvonne,"
he said, "Oh, come and see some interesting things in here." So we ran and we just happened to see this. "Oh, painting on a bit of wood." I said "What do you think?" He said, "Well, it looks OK, you know we'll hold on to it." And we put it on the mantelpiece and sort of just left it, and that's it. but when we turn it round we get a bit more of the story, don't we? "from Castle Mare di Stabia by Herbert Sidney." And have you done any research yourself? an artist of some renown and there is information about him there. but before we go any further there is something missing here, isn't there? -The bottom half is missing. I suspect there many even be a bottom two thirds or even more, who knows? -So at some point this picture has become broken up. was some real action scene. to figures fighting, to horses galloping. and just imagine what there might have been beneath. -Absolutely, yes. It's a pity it wasn't erupting. -An erupting volcano would have been rather better, I must say. it's not like wood because if wood drops it sometimes cracks. she'd knock them into pieces and hurl them into the fire. -So wood, although it's hard, is also very vulnerable. Now I suppose we have to talk about value. -Well, the value of this picture depends on whether we can find the other bit. you could end up with a rather valuable marriage. -because, as it stands, it ain't worth much. It was a nice find anyway. and I just wondered if you'd ever seen anything like this before. -Well, I've never seen one with a donkey's terminal before. But before I talk to you about it, tell me a little bit about the story. from 1923 until Queen Mary's death in 1953.
to Queen Mary, "I really love that." I'm sure she would have done, yes. -And now it's come down to you. Yes, it's come down through the girls' line. is that it's got this lovely glazed cotton outer cover to keep it safe. but if we take it off, let's have a look. Now you see that's another lovely thing. -I mean our standard umbrellas are black. But this wonderful vibrant purple. and in the 1890s -1900s there was a very formal etiquette about mourning. -if you were in semi-mourning you were allowed to use purple. So, this is an umbrella on a day when you're in semi-mourning. So you've got this fabulous carved donkey's head. -it's a real tourist, up-market tourist type gift. and this lovely sort of swag and tassel. and the donkey's face has just got such character. -Yes, he's smiling at you, isn't he? And then this lovely... Why don't you put it up? so it's in super, super condition. -I know you're never going to sell it. makes it quite a rare and special little thing. I think it would be worth about £1,000. -You'd better get on and have some girls yourself. If at this point I shouted, "Order! Order!" I should be slapped on the wrist by the lady with me, because that's her line. and today the Banqueting House. Baroness Boothroyd, welcome to the Antiques Roadshow. And may I say, many congratulations, Antiques Roadshow. -What a great show it is. over their 30 years, right? a nice time of relaxation. It's a great educational show. I try not to miss it. What particularly has caught your eye, over the years? Oh, Michael, I love jewellery. Diamonds are a girl's best friend as far as I'm concerned. I saw one piece, because opals are my birth stone. and I thought that was lovely. in the same way that rubies and sapphires and diamonds are. Lying on the table, we have this curious piece of metal. Um, that's for a tiara. For a tiara, a tiara frame, and we have to make the necklace. -I wanted my daughter to wear it for her wedding. No, she wouldn't. She wore it as a necklace. when they're put up on these base metal frames. everybody's lusting after it, looking at it. I don't know what it's worth and I wouldn't part with it. for any less than about £5,000 or £6,000, maybe even more today. Oh, that's quite a lot then. Well, the price of a good man's above opals, certainly. what else has attracted you over the years? I like looking at furniture. and those big pieces wouldn't fit in my tiny home, so I'm not envious. and there was one piece called a credenza. I liked that. where that would fit very nicely. how do you come to have a piece like this? I wouldn't put the two of you together, obviously. from a house clearance, and I think he paid 30 shillings. "is there anything in this house that you'd like?" -And I said, "Well, I've always liked the credenza." -I think it's so attractive, it's so visual. I think you're looking at between £5,000 and £7,000. but were there any bits in Parliament that you wish you could have taken home? Oh, nice pieces when I was in Speaker's House. Lovely collection we have in Parliament, yes. There were one or two I would have liked. Alas, I had to kiss them goodbye, say goodbye to them. -Not a perk of the job? -No perks there, none at all! -On behalf of the Roadshow in its 30th anniversary. only to find some reminders of another. Tell me how you came by these clocks. Well, unfortunately, they aren't mine. who picked them up about ten years ago on Brick Lane market in east London. Which is just a weekly market, is it? looking for sort of fabulous old bits of junk and that sort of thing. and spoke to the dealer who told him that they were in fact the clocks from the Stock Exchange. He didn't necessarily believe this, but bought them anyway as they were only £10 each. -And how many were there? -So another six like these? -And I think that's it, that's the complete set. -But you're clutching a book. And that shows a photograph. find out, you know, really to verify if they were what he'd been told. As you can see they're here and, I mean, that is them. -This is brilliant, because this is the trading floor of the Stock Exchange. -at that moment in time. -The Queen opened the new Stock Exchange and that trading floor in 1972. -So it's quite likely that these were installed in 1971 or 1972.
you would expect there to be some sort of movement behind it. that, in turn, would have been wired up to one central clock. -And one central clock would have sent a series of messages to these nine repeaters. through all nine of these. OK. What would the little lights have done? -trading ceased in either one of the trading centres. So you could look at the wall and you could just remind yourself that Tokyo Stock Exchange is about to shut. and have a whizz of a time with your mates. Have them on and flashing, it would be amazing. It would be something else, wouldn't it? might make perhaps between £1,000 and £2,000 each. -So you might be talking about between £10,000 and £20,000 for these. -So, will your boss be pleased? I think definitely. How could you not be, with that? At £90, it was certainly an investment, I think. -Great, thanks for bringing them in. Well, I know what this is, familiar action, but I've never ever seen one looking like that. What's the story? Very few of them were made, they were manufacturer's demonstration pieces. That particular one was made by Ericsson of Beeston in Nottinghamshire in 1937. -because it's all polished inside. Well, I know what that is. I don't know what this is. was used in the House of Commons to signal to the MPs that a division or vote was about to take place. Right, so let's get this right. So, before every vote, there is the famous division bell. -I think we've all heard of the division bell. I hadn't realised it actually really was a bell. -And so this would sound and it would repeat its sounding several times, is that right? And then after six minutes the doors of the lobbies would shut. The door keeper shuts the door and locks them and any MP who comes after that is too late. -He cannot vote, so this is democracy. It was in the Palace of Westminster, the House of Commons -why isn't it now? It was sold at the British Telecom auction. The museum sold off the contents of its stores and so on, and that included this apparatus. It says number one, is it the first one? It's the first one made, late 19th century, 1880s-1890s, I would say. day by day, operating the division. Yes, but it's the only one of the original transmitters that survived. -This is the only one. So, only here can we hear the division bell driven by the original technology? -Think of who's used this, or heard it. We start with Gladstone, you know, Gladstone heard this bell. Well, right up to Churchill. -Every Prime Minister would have heard it. Let's deal with two things. We have to talk about value. to reverse the normal process and say to you, what's that worth? That is worth £5,000 to £6,000 depending, you know, on the day. And it's my turn to say, "Good heavens, you can't be serious!" And now I'm going to say to you, what's this worth? First of all, I'll say I agree with you entirely on that. It is such a rarity, this is Mecca for a telephone collector. And I think that price is perfectly reasonable. without its wonderful political historical overtones, it's worth a few hundred pounds. telegraph machine, I could imagine someone paying, God, £15,000 for it. Well, I'm going to be the Clerk and I'm going to call the division. -Actually, can I ask you, can you do it? We say, "Clear the lobbies!" So how come you're bringing me a rusty old tin of whatever it's supposed to be...roasted veal? it's probably one of the first tins of preserved food in existence. on the Arctic Expedition in 1824, and, uniquely, it was taken twice. It was brought back to England in 1825 and taken out again in 1826 to the Arctic. and it was kept with the preserved meat inside. food as one of its requirements and the canning industry took off. and we're talking about the 1820s here, aren't we? -And then it comes back into the museum. Why does it have this dirty great ugly hole in the bottom now? -some curious gentlemen together with the tin industry at the time. I suspect their idea was to prove that the canning industry started so well and did so well. -But did they eat what was inside? -No, they didn't, but they subjected it to chemical examination. was perfectly fit for consumption. Well, isn't that brilliant? Because I think this early preservation of food is most interesting, really. meat and vegetables fresh, it's quite extraordinary, isn't it? and that's where the air came out. Absolutely riveting. Do you like veal yourself? And I most certainly will not try the one from this can. when you come to valuing an object like this, it's difficult. Frankly, it's a question of the association of personality. several thousand pounds, £5,000 to £8,000. I would imagine that if that came on the market, it would probably realise a tad under £1,000. But it's nevertheless a heck of an interesting tin. Thank you. so there's a nice story here, I'm sure. dived off the liner Queen Elizabeth and rescued a German prisoner of war from drowning. and the crew of the ship presented him with an inscribed cigarette case. And these are the letters from the Liverpool Shipwreck and Humane Society who presented the medal. So, what were the prisoners of war doing on the Elizabeth? and then the liner would come back with troops on board. there was the Empress of Canada, and she was full up with Italian prisoners of war. you've got the letter explaining it, and here we have a picture of him? but sometimes he was the waiter. And of course, he's not with you any more? -No. He died in 1976. Yes. But what a lovely combination. Now, we've got to come to value. -Your humane medal on its own would be about £300, £350. you know the whole thing, I mean you can sort of double that value. it is worth twice that amount. Well, this is a wonderfully romantic Russian scene. The moon is out and this troika is rushing over the snow there. -So this album is completely full of Russian royalty. Over 55 images. So did you buy them all together? No. I collected them over a period of time and I actually bought the album separately. and thought it was appropriate to put the family back into something that they would have been in. Marie with her son, Tsar Nicholas II as a baby. Tsar Nicholas II as a baby, now you hardly ever see photographs of Tsar Nicholas II as a baby. It's hand coloured, you're quite right. So tell me, what made you start collecting Russian royalty? about the Tsar's children, and that's what made my interest in the Russian royal family. and Alexandra at the time of their engagement, and I bought that, and from there the collection grew. Now, here is one that particularly interests me. You explain who these people are. This one I think is Ella, isn't it? Yes, it's Grand Duchess Elizabeth with Grand Duke Serge. and she was thrown down a mine shaft by the Bolsheviks in 1918 in the Second Revolution. -And she became a saint. And she became a saint, became a saint of the Russian Orthodox Church. -And I believe the horrible story, you could hear her singing hymns at the bottom of this shaft. She was meant to be a great beauty, in the whole of Europe everybody thought she was enchanting. but sadly they never married and she married Serge instead. That's a very romantic story. Look at this, this is absolutely splendid. This is Queen Victoria. -And Edward VII, Tsar Nicholas. Empress Alexandra and Grand Duchess Olga. and the Empress brought her child to see her grandmother, which was very important to her. Queen Victoria as her mother, and Queen Victoria looked on her as her child. It's a beautifully presented thing. You've got, what, over 55? 55 in this particular album, which I think is quite remarkable. -I mean, how long has it taken you to collect this lot? with the price they are today, but over 20 years, I would say. because you keep your eye on the market. But I'm going to hazard a guess. upwards of £35,000, would you agree with that? I was going to say that you don't look surprised, but that's a bit better! That's the sort of reaction we encourage. Thanks for bringing it in. OK, lovely. Thank you very much. but my husband just keeps saying it's a bit of old tat. -Bit of old tat! Have you worn this bit of old tat? it wouldn't matter what it was made of, really, it's so superb. And have you thought about the imagery behind it at all? I mean, is it something that you feel there's a message there? Apart from an obvious one, that it sparkles like mad. Sparkles like mad! No, I just liked it and I just kept it, I just thought it was very pretty. It's a jolly good thing you did keep it. It's actually like a lot of jewellery, there's a subliminal message of love here. In the Victorian language of flowers, forget-me-not stands for true love. When you turn it into diamonds, it's forever true love, and they're true lovers' knots here. and I think it's safe to tell you now that this is gem setting. These are indeed real stones, they are diamonds. So much for my tat! because you'll have to tell him all of this! And this is a little jewel from 1900, which is probably the most perfect time for craftsmanship in jewellery. The design rules the composition, not the stones. that what we have before us now is a piece of the highest possible quality gem setting from 1900.
onto some pearls to be worn high at the neck of an Edwardian lady. ornament, in diamonds, and a breathtakingly poetic one it is too. It may well be made by a firm such as Cartier or Boucheron. Well, it's a bombshell, isn't it? It's a bombshell to me. -and one of your myriad tasks is to look after this intriguing object which is downstairs in the hall. in a certain way at a certain time, by the looks of it. Yes, it's the proposed contingency plan for the coronation of Edward VIII and Mrs Simpson. -The coronation that never took place. because it's part of the constitutional history of England. of having the coronation over at the abbey. It was to be in this secular building. Yes, I guess that's why. So this was done by the party planners to the royal family at the time. And I can see it's "Hampton and Sons". So 1936 being just before, as it were, news breaks that it's not going to happen. -So it gives you an idea of just what a constitutional crisis it represented. -here at the Hall and elsewhere. Have you considered a value for this object? I suppose because it was in a box and it was all folded up and... No, we haven't. emotive commercial nature of things to do with Edward and Mrs Simpson. -just a single piece of wedding cake associated with their marriage made just under £18,000. couple, and just general nostalgia for that period. beat it out to try and buy anything to do with the event. But as the Banqueting House Manager, a piece of cake as old as that would not be of any value to me at all. Well, I couldn't agree more. You'd prefer that piece of cake now, wouldn't you? Yeah... No, but it's amazing. Wow. although we have seen some fabulous pieces today. The ceiling here at the Banqueting House was painted by Paul Rubens to glorify the Stuart dynasty. It took him four years to complete and he was paid £3,000 and a large lump of gold. Well, masterpieces don't come cheap. More treasures very soon, but for now, from Whitehall in London, goodbye. Michael Aspel and the team take a trip to Banqueting House, in the heart of London. A valuable brooch proves that diamonds really are a girl's best friend, and a rare collection of photographs of the Russian royal family have a staggering price tag.